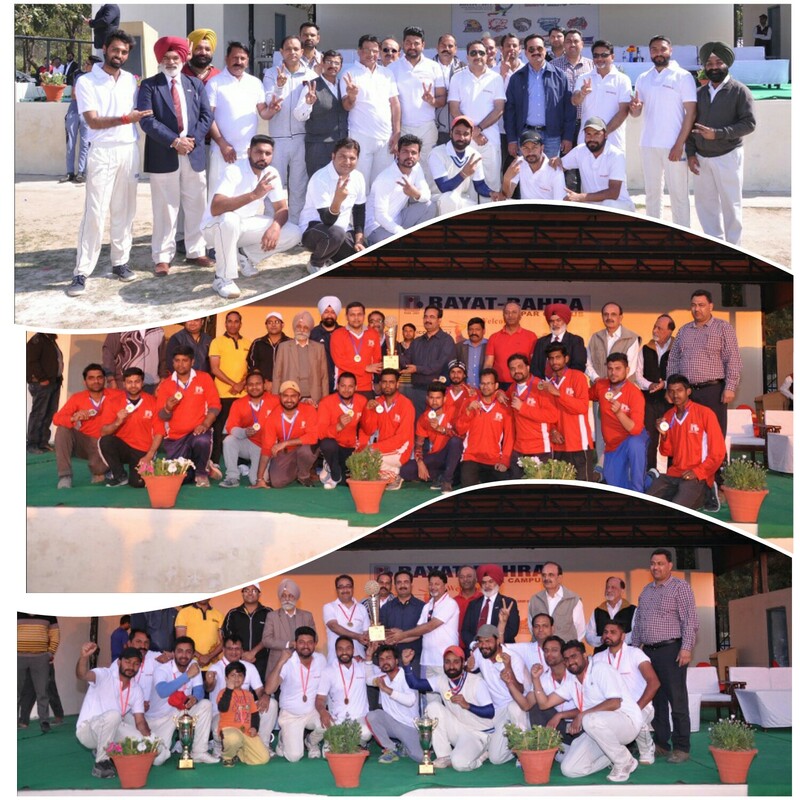 To Keep the spirit of Sportsmanship alive Rayat-Bhara Ropar Campus organised Rayat Bahra Inter campus Premier League-2017 of faculty and Staff members. Teams from all the campuses of Rayat-Bhara Group participated under the titles of Bahra Univerisity Hawks, Rayat-Bahra University Tigers, Panipat Eagles, Hoshiarpur Shraks, Ropar Rihnos, Corporate Lions and Patiala Panthers. 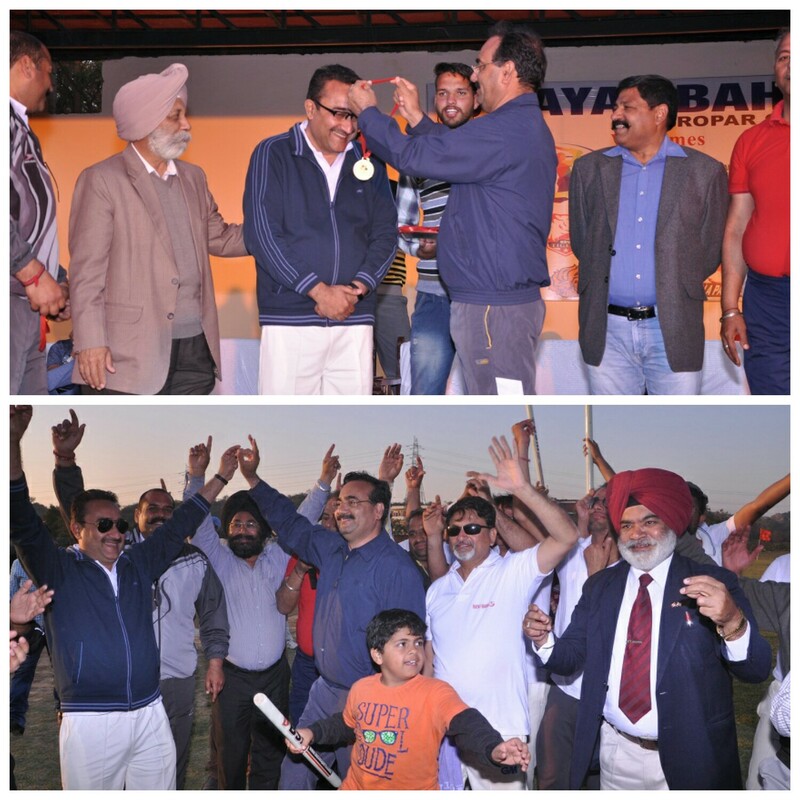 The Campus Director of Rayat-Bahra Ropar Campus Dr. Suresh Seth and Vice Chancellor Rayat-Bahra University, Mohali Dr. Raj Singh Declared the Tournament open in the presence of Campus Director Hoshiarpur Campus Dr. D. S. Bawa, Campus Director Patiala Campus Dr. Piyush Verma. The teams participated with true sportsmanship, enthusiasm and kept the crowd thrilled. A large number of students, faculty and staff members turned up to cheer up the teams. The live commentary by Dr. O. P. Midda, Registrar Rayat-Bahra Univeristy added a different taste to the event. During this event the Chairman of the Group S. Gurvinder Singh Bahra also played as captain of the corporate team and scored 21 runs in just 8 balls. Keeping his belief in "health mind lives in a healthy mind" he emphasised that everyone should participate in sports to keep yourself healthy during the hectic schedule of today's corporate culture. 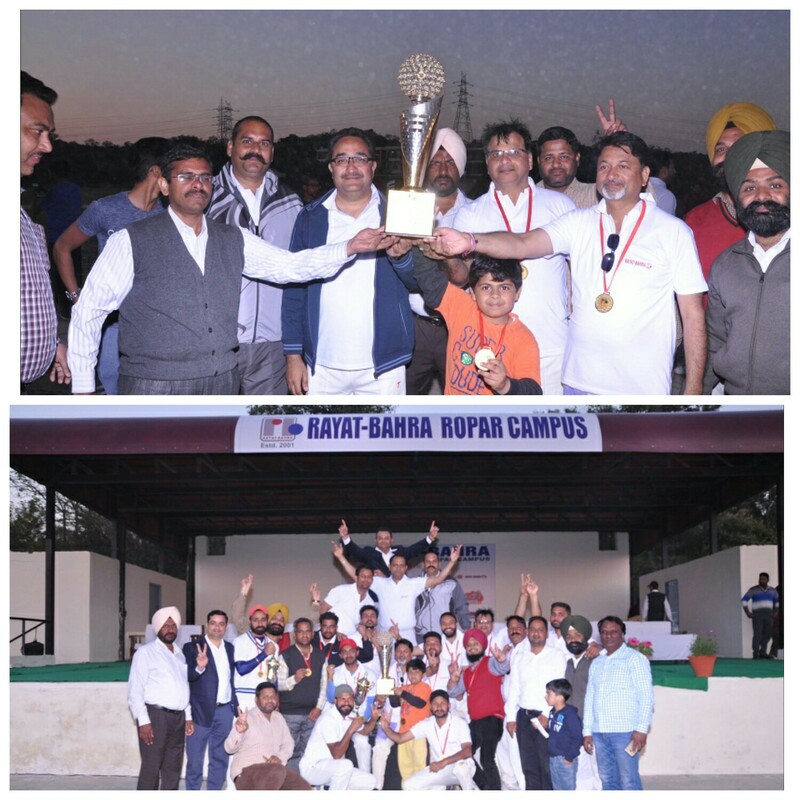 Commenting on the tournament Dr. Suresh Seth, Campus Director Rayat-Bahra Ropar Campus said "we are happy that such a cricket tournament has been organised by the Rayat-Bahra Group to lower down the stress levels of the employees and add a refreshing byte to their lives". 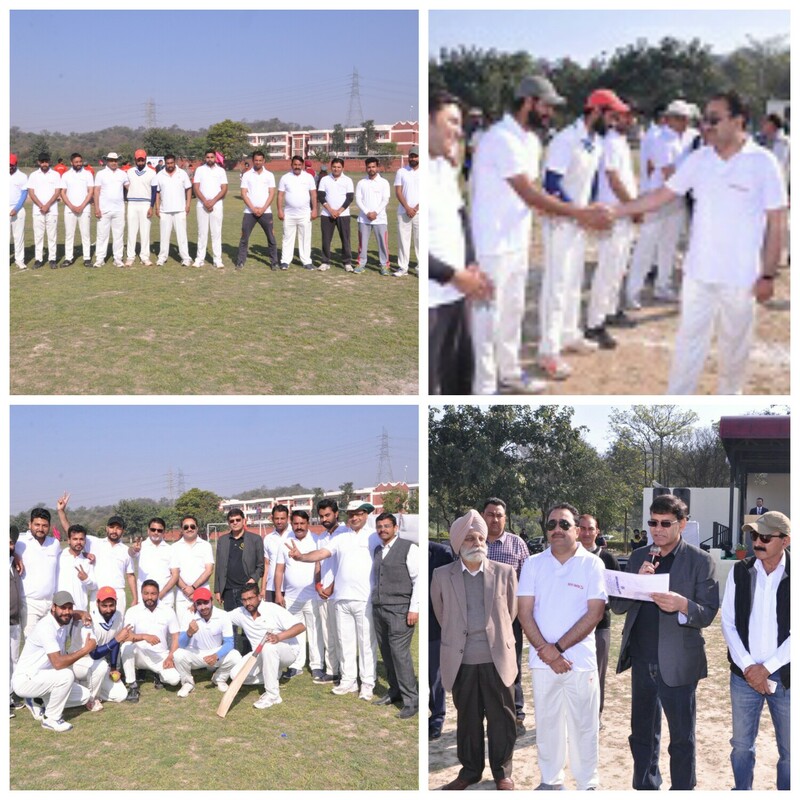 Dr Ajay Goyal, Director Engineering College also commented that "Since cricket is a popular sport, the tournament saw enthusiastic participation by everyone and undoubtedly sports event like these encourage team spirit amongst the employees". After winning respective semi-final matches, Rayat-Bahra Ropar Campus and Rayat-Bahra Hoshiarpur Camus reached the final. Hoshiarpur Team after winning the toss elected to bowl. Ratat-Bahra Ropar Camus won the match by 3 wickets. The closing ceremony was marked by the prize distribution to the winners. Chairman of the Group S. Gurvinder Singh Bahra said during the prize distribution, "I am a cricket enthusiast and I enjoyed being a part of the tournament". He also praised the true spirits of the teams and congratulated the winning team. He also added that the employees of Rayat-Bahra group should work with the same enthusiasm and true spirits during their job also. This whole event was technically managed by Mr. Mahesh Jaitly, Sports officer of Rayat-Bahra Ropar Campus.